Best Android Apps for Faster Reboot features some apps which helps for a quickly reboot your Android device to free up memory usually using a tricky way. We will not discuss much about the tricky way, but will list some best Android Apps for Faster Reboot available right now. You can type or copy any name of the Apps listed in this list of Best Android Apps for Faster Reboot and search it in Play using the Search function. Fast Reboot : Simulates a reboot by closing/restarting all core and user processes and thus frees up memory. Your phone should be much snappier after using Fast Reboot. Fast Reboot (no ads) : This is a simple fast reboot app for Android devices allowing you to quickly reboot into recovery, fastboot, re-initialise the system UI or turn off the phone completely. Hot Reboot : Hot reboot by restarting only the Android graphical shell. Requires a rooted device. Rebooter (fast reboot) : Task killer and fast rebooter. Reboot Widget : This widget will reboot (restart) your phone, Remember ‘Allow’ in Superuser for fast 1 click rebooting of your phone. Requires a rooted device. Flash Reboot Widget Free : Reboot your phone in one click, quickly. Requires a rooted device. AnReboot : AnReboot is a utility app that lets you reboot your Android phone (reboot or reboot recovery). Requires a rooted device. We hope you can enjoy some of these Best Android Apps for Faster Reboot. This Article Has Been Shared 4405 Times! 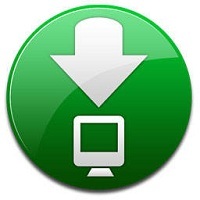 Cite this article as: Abhishek Ghosh, "Best Android Apps for Faster Reboot," in The Customize Windows, June 9, 2012, April 25, 2019, https://thecustomizewindows.com/2012/06/best-android-apps-for-faster-reboot/.